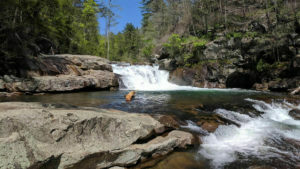 Often referred to as the best tailwater trout fishery in Georgia, the lower Toccoa River below the Lake Blue Ridge dam offers anglers an outstanding opportunity to get on the fish and stay on them all day long. 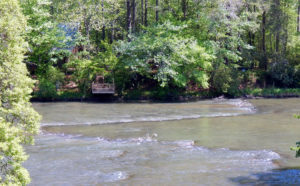 Though public access to the Toccoa is normally pretty limited, On the Fly Excursions has everything you need for either a half day or full day of float fishing on this world-class stretch of the Toccoa River tailwater. 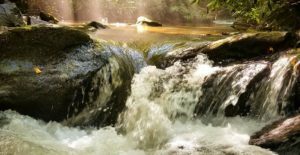 Both novice and experienced anglers will enjoy a float on the Toccoa River tailwater for beautiful rainbow and brown trout that are hard to fool. 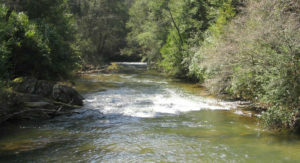 Pricing is for one or two anglers and includes all the necessary essentials for the ultimate guided experience, including rod, reel, flies, waders or boats, water, cooler and ice. Full day trips include a catered lunch.